2015 is shaping up to be a great year to be a motorcyclist. If you do not believe me, make the pilgrimage to a Progressive International Motorcycle Show coming to a town near you. Indian is alive and well and giving Harley-Davidson a run for their money with some beautiful American metal. KTM and BMW had me thinking twice about the importance of a retirement fund. Yamaha is leading the push for versatility and affordability, with the rest of the Japanese manufacturers not far behind. Ducati had its four different Scramblers available to be drooled over (but not sat on). There were even a ton of custom and vintage options to round out the “something for everyone” nature of this year's show. I spent this past Saturday at IMS in New York City, compiling one hell of a Christmas list for Santa Claus. Unfortunately, if my track record is any indication, I will be getting a stocking full of coal, but it can’t hurt to ask. Just in case, here are the top five bikes I would like to see under my Christmas tree this year. In production, it was called "The Beast." With reason. Photo by Ryan Schultz. The Super Duke reminds me of a testosterone-fueled teenage boy with a lustful eye and bad intentions instilling fear in a father’s heart on prom night. In most cases, I favor moderately powered machines that allow riders to actually utilize the powerband. Just last week, I was discussing my thoughts in regards to horsepower with Sean. But then we were talking about the KTM Adventure line, and the Super Duke is no touring bike. It’s purpose-built madness on two wheels. A 155-horsepower, firebreathing beast that is looking for a fight. Just sitting on this bike made be feel slightly sinister. What more can we ask for from a motorcycle? Balance in all things: like "sport" and "touring." Photo by Spurgeon Dunbar. I feel like the sport-tourer category has become bloated with big, heavy bikes that are designed more for hauling the kitchen sink than burning up backroads. What happened to the “sport” aspect of sport-touring? The new BMW R 1200 RS looks more like a revamped R 1200 S than an R 1150 RS. (That’s a compliment.) With sleek, sharp lines, single-sided swingarm, water-cooled boxer twin, and a traditional telescopic inverted fork replacing the telelever front end, this Beemer is, first and foremost, a sportbike. However, the low-slung bars are just tall enough to be comfortable, the windshield is adjustable to offer varied coverage, and available hard luggage makes this a perfect sport-touring machine. It is fiscally irresponsible of you not to buy this motorcycle. Photo by Spurgeon Dunbar. 2014 saw the delivery of the first production inline triple we have seen from Yamaha in over 30 years. 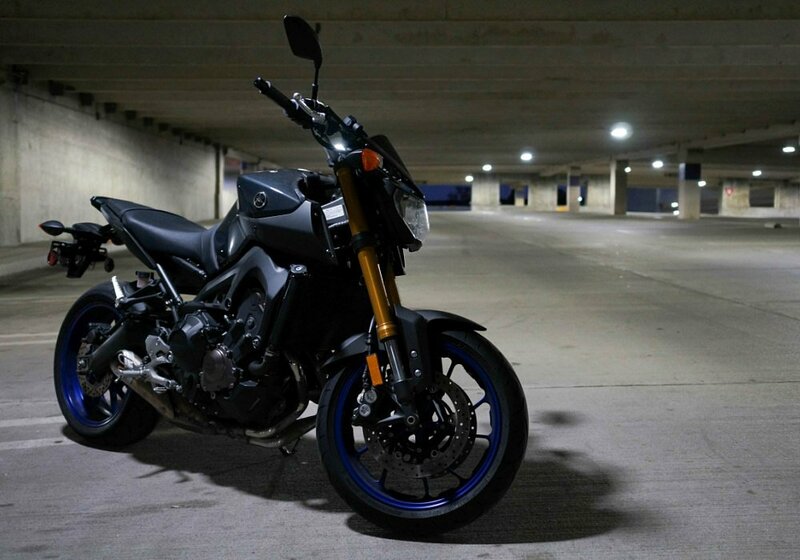 There is no disputing the success of the FZ-09, and I have no doubt Yamaha will have another winner in 2015 with the FJ-09. Utilizing the same powerplant as the FZ-09, the FJ offers riders a tall, sport-inspired, touring alternative. The FJ-09 includes ABS, traction control, a centerstand, and tips the scales at a claimed weight of 462 pounds. Assuming it makes at least the same 115 ponies as its sibling, the MSRP of $10,490 offers riders a ton of bike for the money. It is fiscally irresponsible not to buy this bike. I hereby grant you permission to use that one, royalty-free, on your significant other when you bring this bike home to your garage. Let me know how that works out for you. It's a canvas. Go ahead. Make something of it. Photo by Spurgeon Dunbar. The Yamaha Bolt has succeeded in the mid-level cruiser market because it is a dependable, affordable, cool-looking bike that can be completely customized to match your individual style. While the Indian Scout looks great, Harley is trying new things with the Street 750, and Kawasaki’s new Vulcan S offers an ergonomics package for different sizes of riders, the Yamaha Bolt still gets my vote. New for 2015, Yamaha is introducing the C-Spec package Bolt, which gives the bike a “cafed” makeover straight from the factory. There are a ton of guys out there redesigning their take on this bike. If you want some inspiration for your own build, take a look at my favorite by Greg Hageman of Hageman Engineering. Roland Sands builds an Indian like no other. Photo by Spurgeon Dunbar. The beauty of being a one-off builder is that you can design a bike that appeals to your sense of aesthetics without having to worry about selling 100,000 units to meet sales quotas. You just have to find one other guy out there crazy enough to see the genius in your design. I am sure Roland Sands won’t have to look too hard to find a few guys as crazy as myself to love this bike. The Track Chief started life as a 2014 Indian Chieftain, but other than the Thunder Stroke 111 Indian powerplant, little remains of the stock bike. RSD stripped the Chieftain down to its most minimal form and only added back the most essential elements, creating a bike reminiscent of Indian’s heyday of board-track and flat-track racing. This bike looks fast sitting still. I can only imagine what it’s like to tear around on. There were plenty of other exciting offerings available to ogle, as well. These are just the five that struck a nerve. If I could only add one more bike to my garage, my number one pick would still be the KTM Super Duke. Even though this bike has been around for a year at this point, it is still leading the pack, in my opinion, because it has more swagger than any other bike out there. And what could possibly be better than owning a motorcycle whose bite matches its bark?